Heywood, John B. Internal Combustion Engine Fundamentals. New York: McGraw-Hill, 1988. ISBN: 9780070286375. The purpose of the homework and problems is to get each of you to think about and use the material we discuss in class. Obviously, I want each of you to make a serious try at each problem. If discussions with other students help you get started, then contribute to and benefit from such discussions. However, I expect that each of you will work independently on the details of the problem solutions which you hand in as your work. I regard it as dishonest to copy from any previously circulated solutions and present such work as your own. If you have any questions about the above, please discuss them with me. Section 7.6, "Engine Noise." In Heywood, J. B. and E. Sher, The Two-Stroke Cycle Engine. Philadelphia PA: Taylor and Francis, 1999. Chon, Dale M., and John B. Heywood. "Performance Scaling of Spark-Ignition Engines: Correlation and Historical Analysis of Production Engine Data. "SAE (Society of Automotive Engineers) Technical Paper 2000-01-0565 (2000). Berckmüller, M., et al. "Potentials of a Charged SI-Hydrogen Engine." SAE (Society of Automotive Engineers) Technical Paper 2003-01-3210 (2003). Obert, Edward F. Internal Combustion Engines and Air Pollution. New York: Intext Educational Publishers, 1973 edition. A good basic text on engines from the 1950s with modest updating in 1968; much excellent descriptive material. Taylor, C. Fayette, and Edward S. Taylor. The Internal Combustion Engine. International Textbook Company, 1961. A basic text now out of print and somewhat dated. Taylor, C. F. The Internal Combustion Engine in Theory and Practice. Vol. 1, and 2. Cambridge, MA: M.I.T. Press, 1966 and 1968. Reissued in paperback in 1977, and in 1985 as Second Edition with minor modifications. A much expanded version of reference 2; an advanced text with extensive material on engine design practice of the 1950s and 60s. Rogowski, A. R. Elements of Internal Combustion Engines. New York: McGraw-Hill, 1953. An elementary text used primarily for undergraduate teaching. Lichty, L. C. Combustion Engine Processes. 6th ed. New York, : McGraw-Hill Book Company, 1967. ISBN: 9780070377202. A good basic text on all types of combustion engines, now somewhat dated. Khovakh, M., (general editor). Motor Vehicle Engines. English translation form Russian. Moscow: MIR Publishers, 1976. A Russian text with an excellent ordering of subject material. Patterson, D. J., and N. A. Henein. Emission from Combustion Engines and their Control. MI: Ann Arbor Science Publishers, Inc., 1972. A comprehensive text on engine emissions; now somewhat dated. Ayres, Robert U., and Richard P. McKenna. Alternatives to the Internal Combustion Engines. Baltimore: Johns Hopkins University Press, 1972. ISBN: 9780801813696. A fundamental text on the alternative engines to the internal combustion engine. Nunney, M. J. The Automotive Engine. London: Newnes-Butterworths, 1974. A book which reviews modern automotive engine practice; contains descriptions of design and operation of engines and engine components. Yamamoto, Kenichi. Rotary Engine. Mazda: Toyo Kogyo Co., Ltd., 1969. Excellent text on the design and operation of Wankel engines. Ansdale, R. F. The Wankel RC Engine: Design and Performance. London: Iliffe Books, Ltd., 1968. Contains much technical and historical information on the Wankel engine. Springer, G. S., and D. J. Patterson, eds. Engine Emissions: Pollutant Formation and Measurement. New York, and London: Plenum Press, 1973. A set of contributed chapters on different emissions topics; some chapters are still useful. Sitkei, G. Heat Transfer and Thermal Loading in Internal Combustion Engines. Budapest: Akademiai Kaido, 1974. A monograph on heat transfer in spark-ignition and diesel engines and temperature distributions in engine components. Annand, W. J., and G. E. Roe. Gas Flow in the Internal Combustion Engine. Haessner Publishing, Inc., 1974. A review of selected topics related to gas flow in IC engine intake and exhaust systems. "Should We Have a New Engine?" An Automobile Power Systems Evaluation. Vol. 1. Summary, Jet Propulsion Laboratory, California Institute of Technology, JPL SP 43-17, August 1975. Popular summary of study which evaluates the internal combustion engine and its alternatives. Goodger, E. M. Hydrocarbon Fuels; Production, Properties and Performance of Liquids and Gases. London: Macmillan, 1975. Useful review of fuels, automotive and non-automotive. Cummins, Lyle. Internal Fire: The Internal Combustion Engine 1673 - 1900 Revised Edition. 2nd ed. Warrendale, PA: Society of Automotive Engineers, 1976. Excellent and readable history of the internal combustion engine by the son of the founder of the Cummins Engine Company. A History of the Automotive Internal Combustion Engine. Warrendale, PA: Society of Automotive Engineers special publication, SP-409, 1976. A set of four SAE papers reviewing the history of IC engine developments. Blackmore, D. R., and A. Thomas. Fuel Economy of the Gasoline Engine. New York, NY: John Wiley & Sons, 1977. A useful introduction to how fuel properties affect spark-ignition engine operation. Thomson, W. Fundamentals of Automotive Engine Balance. London: Mechanical Engineering Publications, Ltd., 1978. A short straightforward monograph on the balancing of various arrangement reciprocating engines. Benson, R. S., and N. D. Whitehouse. Internal Combustion Engines. Vol. 1, and 2. London: Pergamon Press, Inc. 1979. A modern text, limited in scope, with special emphasis on computer simulations of engine flow and combustion processes. Watson, N., and M. S. Janota. Turbocharging the Internal Combustion Engine. New York: John Wiley & Sons, 1982. An extensive and excellent professional reference text on turbochargers, and turbocharged engine performance. Benson, R. S. The Thermodynamics and Gas Dynamics of Internal Combustion Engines. Vol. 1. Edited by J. H. Horlock, and D. E. Winterbone. Oxford: Clarendon Press, 1982. Extensive and detailed monograph on unsteady engine intake and exhaust flow processes. Horlock, J. H., and D. E. Winterbone, eds. The Thermodynamics and Gas Dynamics of Internal Combustion Engines. Vol. 2. Oxford: Clarendon Press, 1986. Extensive and detailed monograph on in-cylinder engine processes and methods of analysis. Hilliard, J. C., and G. S. Springer, eds. Fuel Economy in Road Vehicles Powered by Spark Ignition Engines. New York, and London: Plenum Press, 1984. A set of contributed chapters on engine and vehicle factors which affect fuel economy; some are excellent. Stone, R. Introduction to Internal Combustion Engines. MacMillian Publishers, Ltd., 1985. 2nd ed. 1992. An introductory text appropriate to a survey undergraduate course on engines. Ferguson, C. R. Internal Combustion Engines--Applied Thermosciences. New York: John Wiley & Sons, 1986. A new text focusing primarily on Thermal/Fluids Science aspects of engine operation. Bosch. Automotive Handbook. 5th ed. Published by Robert Bosch GmbH. Warrendale, PA: Distributed by SAE, 2000. A concise and useful summary of technical data on engine and vehicle components and systems. Heywood, J. B. Internal Combustion Engine Fundamentals. London: McGraw-Hill, 1988. An extensive text and professional reference on the fundamentals behind engine operation and design. Bosch. Automotive Electric/Electronic Systems. Published by Robert Bosch GmbH. Warrendale, PA: Distributed by SAE, 1988. A practical guide to and description of automotive electrical systems. Arcoumanis, C., ed. Internal Combustion Engines. London; San Diego: Academic Press, 1988. A collection of contributed chapters on gasoline and diesel engines, turbocharged engines and automotive fuels; some are good. Blair, G. The Basic Design of Two-Stroke Engines. Warrendale, PA: Society of Automotive Engineers, 1990. A monograph with simple programs focused on two-stroke gasoline engine design issues and their underlying principles. Owen, K., and T. Coley. Automotive Fuels Handbook. Warrendale, PA: Society of Automotive Engineers, 1990. An extensive compilation of information on gasolines and diesel fuels and their effects on engine operation. Newton, K., W. Steeds, and T. K. Garrett. The Motor Vehicle. 11th ed. London; Boston: Butterworth, 1989. A useful source of practical information on engines, transmissions and vehicles. Lenz, H. P. Mixture Formation in Spark-Ignition Engines. New York, NY: Springer-Verlag, 1990. A resource for detailed information on gasolines, carburetors, fuel injection systems, and the mixture formation process. Ramos, J. I. Internal Combustion Engine Modeling. New York: Hemisphere Publishing Co., 1989. A review and useful introduction to the various models now available for engine processes. Heck, R. M., and R. J. Farranto. Catalytic Air Pollution Control. New York: Van Nostrand, Reinhold, 1995. A readily understandable review of catalyst fundamentals and application to vehicles. Blair, G. P. Design and Simulation of Two-Stroke Engines. Warrendale, PA: SAE, 1996. An update and extension of Blair’s earlier book; extensive information on small high-performance two-stroke spark-ignition engines. Sher, E., ed. Handbook of Air Pollution from Internal Combustion Engines: Pollutant Formation and Control. San Diego, CA: Academic Press, 1998. An extensive set of chapters, by different authors, on four-stroke and two-stroke cycle sparkignition and diesel engine operation and emissions, and fuel effects. Pulkrabek, W. W. Engineering Fundamentals of the Internal Combustion Engine. New York: Prentice-Hall, Inc., 1997. An introductory text on IC engine fundamentals. Borman, G. L., and K. W. Ragland. Combustion Engineering. WCB McGraw-Hill, 1998. A valuable reference volume on combustion processes in different practical systems, including IC engines, with extensive information on fuels. Heywood, J. B., and E. Sher. The Two-Stroke Cycle Engine: Its Development, Operation and Design. Warrendale, PA: SAE, Taylor & Francis, 1999. A comprehensive summary of the technical literature on two-stroke cycle engine processes which govern its operation and its design. Flagan, R. C., and John H. Seinfeld. Fundamentals of Air Pollution Engineering. Englewood Cliffs, CA: Prentice-Hall, Inc., 1988. A review of air pollutant formation processes and sources, and control approaches. Lenz, H. P., and C. Cozzarini. Emissions and Air Quality. Warrendale, PA: SAE, 1999. A concise handbook with data on transportation emissions, their impact, and ways to control their magnitude. Challen, B., and R. Baranescu, eds. Diesel Engine Reference Book. 2nd ed. Warrendale, PA: SAE, 1999. An extensive handbook on the theory, design, and applications of diesel engines. Bosch. Gasoline-Engine Management. 1st ed. Published by Robert Bosch GmbH. Warrendale, PA: Distributed by SAE, 1999. A handbook with extensive practical details on gasoline spark-ignition engines and their management and control. ———. Diesel-Engine Management. 2nd ed. Published by Robert Bosch GmbH. Warrendale, PA: Distributed by SAE, 1999. A handbook witih extensive practical details on diesel engines, their emissions, and their management and control. Stan, C., ed. 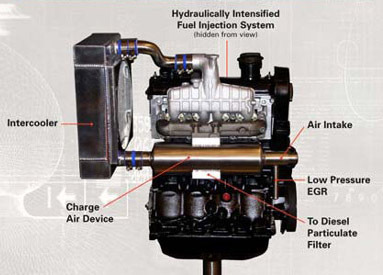 Direct Injection Systems for Spark-Ignition and Compression-Ignition Engines. Published by Springer-Verlag, Berlin, Heidelberg. Warrendale, PA: Distributed by SAE, 1999. Multi-author volume on direct injection gasoline and diesel engines, focusing on the different practical approaches to direct injection of liquid fuel into the cylinder. Winterbone, D. E., and R. J. Pearson. Theory of Engine Manifold Design. Warrendale, PA: SAE, 2000. A text on the theory and methodology for analyzing unsteady gas flows in engine manifolds. ———. Design Techniques for Engine Manifolds. Warrendale, PA: SAE, 1999. A comparison text to #49, focusing on application of unsteady gas flow analysis tools to engine manifold design. Blair, G. P. Design and Simulation of Four-Stroke Engines. Warrendale, PA: SAE, 1999. A description of engine simulations, largely developed in the author’s laboratory, and their application to four-stroke engine performance prediction and design. Ferguson, C. R., and A. T. Kirkpatrick. Internal Combustion Engines Applied Thermosciences. 2nd ed. NY: John Wiley & Sons, Inc., 2001. A new edition of #27: An introductory text focusing on the thermal science processes important to internal combustion engine operations. Nuti, M. Emissions from Two-Stroke Engines. Warrendale, PA: SAE, 1998. A monograph on two-stroke cycle gasoline engines, the origins of their emissions and methods of control. Eastwood, P. Critical Topics in Exhaust Gas after-Treatment. Research Studies Press Ltd., 2000. A detailed monograph on engine exhaust gas treatment—catalysts, particulate filters—as well as exhaust treatment system issues. Makartchouk, A. Diesel Engine Engineering: Thermodynamics, Dynamics, Design, and Control. New York, and Basel: Marcel Dekker, Inc., 2002. Analysis based text, focused primarily on engine dynamics, structural design, and automated diesel engine control. Zhao, F., D. L. Harrington, and M-C. Lai. Automotive Gasoline Direct-Injection Engine. Warrendale, PA: SAE, 2002. An extensive review of the literature on GDI engine performance, combustion, efficiency, and emissions, and the state of GDI engine development.